Our "Favorites From the Hymnbook CD Volume 1". This project continues to be a popular item among the hymn-lovers crowd! There are some fine selections here that will provide great enjoyment to all who get this one. 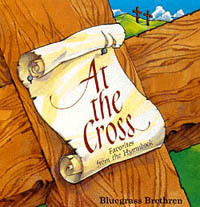 Bluegrass fans have said that this is a "must have" recording and that it is simply a "Bluegrass Underground Classic".